Judy remembers her mother shining their shoes on Saturday night for Sunday School each Sunday morning. Judy's childhood is one of fond memories of her family, "Mom made sure we all went to Sunday School and learned how to live." Her mother's love and teaching is sure to be a factor in Judy's writing today, as well as in her winning the AMY Foundation Roaring Lambs Award in 1995. The AMY Foundation Writing Awards program is designed to recognize creative, skillful writing that presents in a sensitive, thought-provoking manner the biblical position on issues affecting the world today. (The Amy Foundation also has a blogspot.) To be eligible for their contest, submitted articles must be published in a secular, non-religious publication and must be reinforced with at least one passage of scripture. The grand prize is $10,000. and Judy's web site also reflects this same spirit of the AMY Foundation. 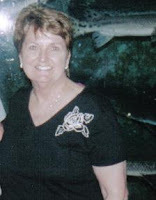 Judy says, "I had 1 brother and 3 sisters, and I loved spending nights and playing paper dolls with my cousin, Gayle. "Christmas and Easter were very special with wonderful childhood memories. Every Christmas my brother and sisters and I would get up bright and early and slip into the living room. The tree,full of beautiful different colored lights, stood in the corner of our living room with our gifts under the tree. We didn't receive a lot of gifts, but I'll never forget the dolls and books (the Little Golden Books) I received over the years. Still remember it as such a wonderful time of love." Judy and her husband have been married 40 years and "have been blessed with three children (now grown) and five grandchildren. 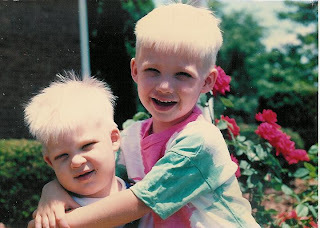 We are planning to take the two youngest grandsons (Connor and Noah) to Disney World this fall." Sharon Hinck is no ordinary woman. She writes "stories for the hero in all of us." Makes you almost wonder where her telephone booth is kept (that's for all of you oldies who remember Superman changing in telephone booths from Clark Kent...or for that matter, remember telephone booths!) But Sharon's adventures are for those who think they are just ordinary people. She helps us to realize we all can be heroes. Sharon tells us: When the minutia of modern life wears me down, I write to remind myself of the bigger picture: We have an amazing God who made us, loves us, and invites us to be part of His story. And He is an expert at taking ordinary people and empowering them to make a difference by sharing His grace with others. So, what was it in Sharon's childhood that put together a woman who writes stories to send a reader on his own adventures? Let's find out! Biggest Challenge as a Child or Teen:My very intense emotions and finding ways to express them. I danced. I played guitar and wrote sad songs. I walked in the woods and prayed. My First Job:I made decoupage plaques and walked around the neighborhood pulling a wagon full of them and trying to sell them door to door. Childhood Indulgence: Toy horses. I loved my collection of tiny plastic Palaminos and Pintos and Arabians and Thoroughbreds and acted out stories with them. 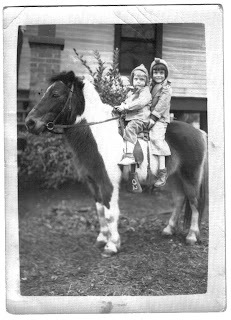 I also had a few beautiful larger toy horses with real hair. 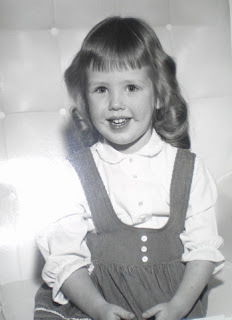 Favorite Outfit as a Child:My grandma sewed me a new “first day back to school” dress each year. One year she made a German dirndle dress – with embroidery and an apron. Childhood Hero:Nellie Bly. I read a child’s book about her groundbreaking undercover journalism and longed to be like her. Favorite Childhood Activity:Acting out plays, musical reviews, etc. I talked neighbors into joining in, classmates at school into rehearsing skits at recess. I was relentless. The original “Let’s find a barn and put on a show” mentality. Books were my mentors, friends, companions and teachers. I always revered the mythic people called “authors.” Getting to be one now is truly a fulfillment of a dream I wouldn’t have dared voice as a child. Sharon is a wife and mom to four who has had many adventures, though none have involved an alternate universe (thus far). She has an M.A. in Communication from Regent University and has spent her life working in the arts (music, theatre, dance, and writing).Ten years were spent as the artistic director of a Christian performing arts group, CrossCurrent. That ministry included three short-term mission trips to Hong Kong. and if you go here, you can purchase those books SIGNED by Sharon. You can keep up with her amazing adventures on her blog(check out her events.) 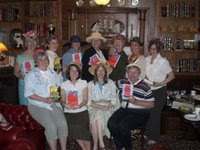 Not long ago a group bid and won Sharon and a tea party at a fundraiser auction (an English tea with an author.) So who knows where Sharon will be next? Don't forget to check out her web site to sign up for her newsletter Book Buddies! This post is meant for tomorrow (Mother's Day) but I'm the mother of four boys, and expect to have things to do tomorrow. So, I'm posting a day early. My mother died in 1997. She had lived for 39 years with only one lobe of one lung and raised two children. (She lived 65 years total.) She had 6 grandchildren when she died and she is missed greatly. She lived five years beyond what her doctor predicted, but hey, she lived beyond what anyone expected her to live back in 1958 when she was first diagnosed with TB. For someone who could barely draw a breath, she was very active, had a great sense of humor, was well read, and seemed to know everything. She was tough and survived many heartaches and illnesses, but yet, almost always seemed to have a smile on her face. I can't ever remember seeing her cry. I think I heard her crying in her room once, but when she came out, she smiled sweetly at me. The "work of art" above was framed and hung on her wall. I made it for her in school when I was about 9 years old. We had these tubes of paint with a point and roller ball in the tip that we painted onto this fabric. I drew a rose and filled it in. I then signed it. She ooohed and awed over it and I was very proud. I remember another time getting her a yellow gold head scarf with my own money for one Mother's Day. I loved that color(one of my favorites,) but my mother was more at home in blues,pinks and pastels and it wasn't a flattering color for her (I don't think I ever saw her wear yellow.) I was thinking of MY favorite color instead of hers (blue.) She still said she loved it and put it in her special drawer with the jewelry she kept but didn't wear. She'd get it out and admire it in front of me and I'd be satisfied. Childhood Ambition: To be a librarian or a teacher and to also get married and have many children. I love children and really wanted to be a mother. I lost five children before I was able to have Crystal, right before I turned 30. Fondest Memory: When my sister Mayme, who was 13 months older than I was, and I were little girls someone gave us a doll for Christmas. We had to share her, but it was so nice having something like that for Christmas. Mayme was my closest friend. I also loved it when someone in the house had a birthday. My mother would make a huge deal about it by making a crown for the birthday child, singing to him or her, and making special treats to eat all day--allowing the child to pick whatever they wanted. That person was King or Queen of the Day. It was so much fun. I also loved it when she made lefse. Proudest Moment: When I had my daughter, Crystal, and my son, Ricky. Biggest Challenge as a child or teen: When I was 5 years old, my mother died from TB. I was scared, but was told not to cry by my older sisters. I was afraid to go in where my mother was laid out on the bed and wouldn't go in there after the funeral. 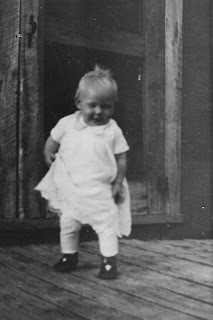 I was the youngest girl of five children that my mother had (I had five older half-siblings who were either living on their own, or getting ready to leave home.) My little brother was a baby of two and he went to live with one of the older sisters, so was taken from us. My father had a farm to run and all of these little kids. He was in much grief--it was the second time a wife had died and left him with children to raise alone. He was 22 years older than she was. She died in January, and my birthday was in September. When my birthday came, I went to the table and sat down. My older sister who was staying with us (she was a teen) looked harshly at me and said, "And just what do you think you're doing?" I replied, "It's my birthday. I want oatmeal for breakfast." I fully expected my mother's tradition on birthdays to be carried on. She glared at me, grabbed my arm and yanked me up to my feet. "Well, you might as well get used to being a big girl now on your birthday. You get your own breakfast. There will be no more birthdays. Today you grow up." So, I grew up when I was 6 years old. It was a cruel reality of what was to be for the next 12 years, and really, for the rest of my life. I really never remember being a child. I worked as hard as a man on the farm, and also had to keep house. I was the last child to leave home, though I did go four years to a private Christian academy for high school. My First Job: Working on the farm. My favorite time of the year was lambing season. Almost always there would be a lamb or two who didn't have a mother, and I'd take care of them. We worked from sun up to sun down in the harsh elements of Minnesota, but always took Sabbath off (though we took care of the animals--sundown Friday to sundown Saturday.) 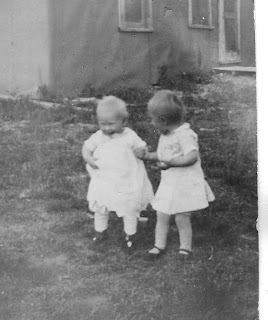 We lived so far out in the sticks, as kids, whenever someone came up to the house, we'd run and hide because we were so shy! But we had lots of fun playing and making up games while we did our chores and work. My second job was when I went to the academy at 14. I worked in the library. Loved the library. I also was a secretary who wrote in my boss' ledgers, as she wouldn't allow anyone else to do it. She was extremely demanding, and I couldn't even leave an i undotted. She was a woman and an attorney, and I didn't realize how unusual that was at the time. She taught me quite a lot. 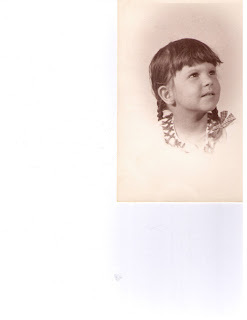 I also was a nurse's assistant in the nursery at the hospital. I loved that job, bathing the babies and wrapping them tight, holding them. Nothing was more satisfying, except for being a mother myself, than that job. Childhood indulgence: We didn't really get many "indulgences." Since we were in a family which worshipped on Saturday (Sabbath) and were strict about our diet, too, plus were living on a farm, our indulgences came in the form of reading. I spent a lot of my spare time reading. I loved to spend time outdoors, too, and watched all of the wildlife that thrived around the Lake of the Woods. One thing I do remember is making games out of daily life. We laughed a lot. One of the things I remember was sneaking into Papa's room while he slept to play tricks and listen to him talk in his sleep. He would talk in his sleep and his language was Swedish in his sleep. We were not allowed to speak Swedish at home, only English, so unless we were visiting a relative, I didn't speak it, just understood it. We would giggle and laugh, and once we brought in a bucket of cold water to stick his hand in. I'm sure he was awake, now that I am older and realize it, but back then I thought we were playing a good trick on him. He didn't even move when we plunged his hand in that water! And doggone it, he didn't do what we were told would happen if you put a sleeping person's hand in cold water. (Do you know what that was?? ha!) We were pretty pesky kids. And he was rather indulgent of us, considering how cruel his father had been. 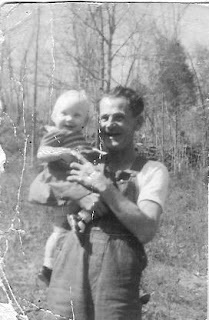 He broke that cycle of abuse--and was a good man who loved the Lord--and he was our Papa. And he had a sense of humor. He was always giving us riddles or telling us stories. Favorite Childhood Movie: Our religion forbade us to go to movies. I had never seen a movie until I was 19 years old when I left home and came to Indiana. I enjoyed seeing movies so much, I watched many, many movies after that. I particularly loved historical movies, like Gone with the Wind. Favorite Childhood Book: A Girl of the Limberlost by Gene Stratton Porter. I imagined I WAS Elnora and thought the Limberlost must be a wonderful place. When I grew up, I lived with a few miles of the real Limberlost that Gene Porter wrote about. 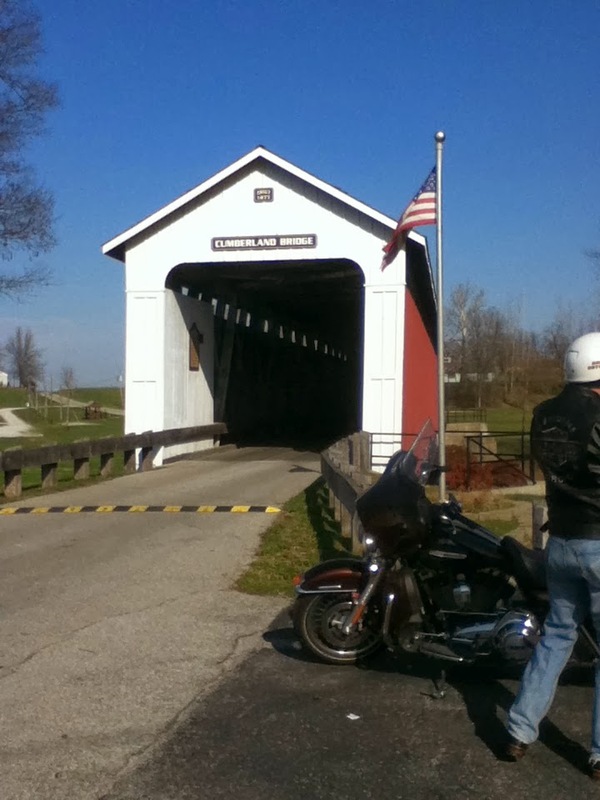 I loved Indiana and continued to spend a lot of time outdoors, fishing, gardening, observing nature and going to state parks. Childhood hero: My older half-brother, Merlin, who was a pastor. He was in the first family and his mother died when he was a boy. He was married by the time I came along, but was kind and loving. I was my father's 10th child and the fourth child of my father's second wife. She and her mother had taken care of the children from his first marriage when his first wife died. My mother allowed the older children from that marriage to name me. They had a baby sister who was the youngest of their family(the first family) and her name was Lillian Arlene Pierson--and that's exactly the name they gave me. She had died as a baby. It was really weird seeing my name on a tombstone next to their mother. So, anyway, Merlin, was always kind to us, and particularly to me, or so I thought. He'd sit with me and draw pictures with me. I would do anything to please to him. One time I decided to draw a picture of the barnyard, so I was watching the chickens peck and cluck and drew them. I noticed that they were also making droppings as they went along, so I drew that into my picture, as well. I thought I was being particularly clever to include so much detail, and my, wouldn't my brother, Merlin, think I was great? He asked me about my picture, and I'm explaining in minute details about those chickens. He got this frown on his face, and told me I mustn't draw things like that--it wasn't a good thing to do. I was just crushed, as he was never displeased with me. It was a heartbreaking moment for me, but I loved him fiercely all the same. When I was grown up and had children of my own, I saw him and his family less and less. He had two sons, one of whom died as a child, and a daughter named Gwen, who was just a little older than my own daughter. He and his wife had a busy ministry in Minnesota. Where my brother lived there was a river and in the spring of 1965, it flooded. He, his wife and daughter got into a canoe, even though it was quite cold, and went downstream to see what damage there was to properties along the river and if there was any way to help others. When they got to a bridge, the water was flowing over the bridge. The water was going so rapidly, even though he was quite strong, he couldn't stop the boat. The boat overturned and witnesses say he grabbed onto the bridge, but his wife, Hulda, and daughter Gwen went under. He was a very strong swimmer, but he could not pull them up to safety and he could not overcome the undercurrent, not to mention the frigid temperatures. They all drowned and that was one of the hardest funerals I've ever been to--to lose my hero, my brother, Merlin, and his family. They had one son who wasn't with them that day--he was away at school. That son grew up to be a dentist and was a missionary in Africa for many years (Kenya.) I was very proud of him. 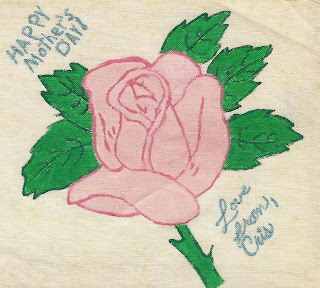 Crystal here: It is a great privilege for me to have had such a wonderful mother. I hope that I am even half the mother to my boys, that she was to me. Happy Mother's Day to all the mothers in the world. Stay strong! Nanette Snipes is the hired pen and compilation book queen. 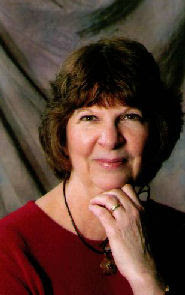 She's been writing more than 20 years and has published over 500 articles, columns, devotions and stories in more than 55 publications, including print magazines, newspapers and work-for-hire books. She also has stories in more than 45 compilation books: Chicken Soup for the Christian Family Soul and Christian Woman's Soul, God's Way for Teens, Mothers, Fathers, Couples and Graduates, Soul Matters for the Heart, Women and Teens, Rest Stops for Teachers, Stories for the Spirit-Filled Believer and The Heart of a Teacher, and the latest one, Grace Givers, compiled by David Jeremiah, among others. If that's not enough, she has been published in print magazines such as The Lookout, Clubhouse Magazine, Mature Living, Advanced Christian Writers, Power for Living, Breakaway, Georgia Magazine and others. She has written work-for-hire devotions for The New Women's Devotional, Zondervan, 2006, an Arch book for Concordia Publishing, devotions for Honor Books and stories for Publications International. To uplift and encourage the body of Christ; grant mercy to those in need in the body and outside, doing everything to the glory of Christ in the power of His name. When God directs, to accomplish these things through my writing, or through proofreading and editing. Nanette freelance edits for writers, proofreads for a corporate company and writes press releases for a small self-publishing company. She works in tandem with Patrick Borders, of Platinum Prose, an upcoming ghostwriter, who comes highly recommended by Cec Murphey. In addition, she is also a member of The Christian PEN. Childhood ambition – As a child, I loved dogs. My mother raised German Shepherds for a short while, during which time the female had three litters. The dog developed breast abscesses with her first litter of thirteen puppies, which meant my mother, my eight-year-old sister and I, at age ten, got up at all hours to feed the puppies from doll bottles. I loved the puppies so much I named each one of them. We managed to save the puppies. My dog’s next litter was eleven puppies. By this time, my father had erected a large dog house for them. I spent many days inside that dog house. At first, the puppies’ eyes were closed, and I couldn’t wait for them to open. One by one, the puppies began opening their steel-gray eyes and romping in our yard. And, as before, I named each of them. I had other dogs as well, three dachshunds, and a couple of mutts. At one time, I thought of being a veterinarian, but curtailed my ambition since I couldn’t stand the sight of blood. 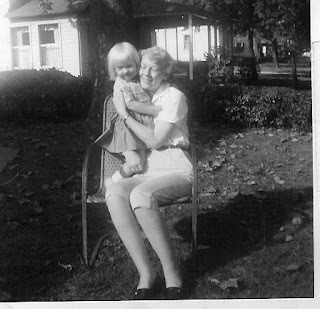 Fondest Memory – My fondest memory before age five was my mother reading nursery rhymes to me before naptime. She also sang some old-timey songs like “Red River Valley” and “I’ve Got Sixpence.” I still recall most of the words to the songs because I also sang them (a little off-tune) to my own children. I was born during World War II (my father was in the old Army-Air Corps) in the British West Indies, and my mother sang some of the military songs of that era to us as well. Other fond memories were of long summer days sitting in clover-filled grass, looking for four-leaf clovers or making chain bracelets and necklaces from the white flowers. I also loved hot, Georgia summers spent playing “Red Rover, Red Rover,” or “Kick the Can” with a group of kids. Proudest Moment (Now) – My proudest moment is to know that my oldest son, who only finished one quarter in college, had the skill and determination to become general manager of several Atlanta hotels. For the last three years, he was general manager of a large, downtown Chicago hotel. Though I certainly don’t deserve credit, he says he owes a lot to how I raised him. Another proud moment occurred a few years ago when I learned from cousins on both sides of the family that my ancestors, Philip Yost, on my mother’s side, and Asahel Adams, on my father’s, both served at Valley Forge with George Washington. We can also trace our lineage back to the following Colonial ancestors: Governor William Bradford; Governor John Webster of Hartford, Connecticut; Lieutenant Robert Webster of Hartford; Major James Fitch and others. I still haven’t had time to add my mother’s and father’s names to the lineage, so I’m not yet a member of the DAR. But that was a proud moment for me. 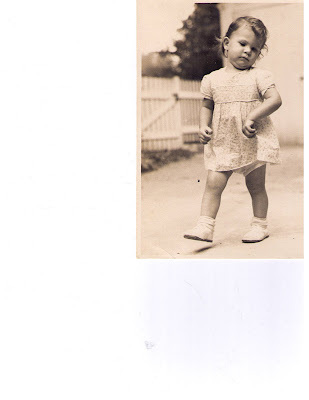 Biggest Challenge as a Child – I was five years old in 1949 when I became sick. I remember being so sick I couldn’t even get out of bed. My mother, who wasn’t a worrier, hovered over me, and she took my temperature numerous times a day. One day when the doctor came for a visit (he was also a friend of my parents), he said I had rheumatic fever. I could hear whispering outside my door, and by the sound in her voice I knew my mother was alarmed. After the doctor left, I became very concerned. “Am I going to die?” I asked. Her answer: “I don’t know, but I hope not,” and then she changed the subject. My doctor told my parents that I absolutely should not exert myself, or run, for an entire year because he was concerned about heart damage. I remember having to walk very slowly to school, and at Thanksgiving, when we had our Thanksgiving play, I was given the role of “tree.” Even with his care, I have mitral valve regurgitation, which may have been caused by the rheumatic fever. Favorite Outfit – Cowgirl outfit. Although I had a couple of dolls, I really didn’t care too much for them, but instead preferred animals. I also had a real love for the early cowboy and Indian shows like “Roy Rogers,” “Rin Tin Tin,” and others. So one Christmas, my parents bought me a cowgirl outfit complete with guns and holster. I think that was also the year my father bought me a train set (though I’m not sure it was for me). Favorite Childhood Book – In fifth grade, my teacher read a chapter every day in a book titled The Haunted Hound. It was powerful and heady stuff for a fifth-grader. We placed our heads on our desks and visualized the scenes of this book. And when the end came, and the dog died, there wasn’t a dry eye in the classroom. I believe that book was one of the milestones that built my empathy. Another milestone occurred when I was five. A little girl who visited our house had a naked doll, and I remember feeling sorry for her. I wanted to give her my only set of doll clothes, but when I realized my sister had a second set, I gave the little girl my sister’s doll clothes. Not a good idea—especially when you have to explain to your mother. 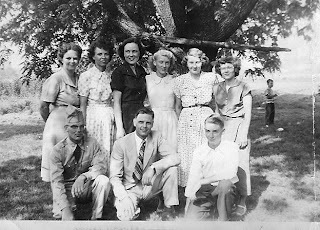 Other memories – In 1950, my mother was one of the few women who worked. She worked for Orkin Pest Control in Atlanta, but she made sure we were cared for. She hired a large, African-American woman whose name I still remember – Lajuana Wingo – who took very good care of us. I loved Lajuana and her roomy lap where I often sat and nestled into her chest. When my mother’s dad died in Panama, Mama nestled her head into her lap as well, and cried. I have fond memories of this woman who was the color of rich coffee beans and whose compassion knew no bounds. I often dreamed of finding her and telling her what an impression she made on me. Another revived memory revolves around Christian camp. Though there was a downside when my pastor had to take my sister and me home because of family discord, the richest memories still live. Besides all the fun we had at camp, I enjoyed learning about Jesus. I didn’t learn about Him at home, but through a kind pastor who took it upon himself to take us to church every Sunday morning, Sunday evening and Wednesday night. His faithfulness to the Lord makes me who I am in Jesus today. Nanette has been married to Jim for 30 years and has four grown children and four grandchildren. The only child left at home is her feisty fur-child (cat), Possum. I have been double-tagged. Gatorskunkz and Mudcats blogger Delia has tagged me to post 8 random things about me, and Cara over at The Law, Books and Life also got me to post 7 random things about me! Sheesh, that's 15 things about me. I've been trying to get away from some of the things about me on my blog. In fact I haven't even done a When I Was Just a Kid blog about myself, because I don't know what I'd answer! (My "Kids" are awesome to answer my probing prompts! )I hope you have been enjoying all of these When I Was Just a Kid posts. Please scroll down to the right on the links and see who has been featured at the Chat 'n' Chew.They are interesting! Ok, here goes. Not sure if this is a good idea. 1. My mom got TB when I was one year old, living in a hospital for several years in Indiana. I went to live with my grandparents and dad's extended family in Tennessee. My heart is always in Tennessee. 3. I was a teacher for 10 years. 4. I was the dessert girl in my college cafeteria. 5. I was voted Best Actress of my HS graduating class. 7. I was born on Indiana's state birthday. 8. I coached a champion girls' track team. 9. I also coached basketball. 10. I also coached cheerleaders. 12. I was a journalism major in college, but eventually changed to elementary ed. Am somewhat torn about having made that decision, but what's done is done. 13. I loved teaching P.E. and consider that the only job that I absolutely adored. 15. I am way out of shape right now and couldn't out run a slug. Depression and oldness is a terrible thing. I have no fitness buddies here or goals. Now I'm supposed to "tag" other bloggers. Sigh. I would love it if you people reading this would just comment one random thing about YOU on this blog. I am monitoring the comments, but I do allow ANYONE to post comments. Please do. Tell me something about YOU. When I Was Just a Kid...Who Knew? Kristin Billerbeck can honestly say,"I remember the Bay Area before it was Silicon Valley. Before everyone drove Beamers and drank decaf soy lattes and bubble teas." She penned some romance novels as a young mom to four kids on the way to acquiring her Prada handbag, earning the Romantic Times' coveted Top Pick Inspirational, garnering 4.5 stars. 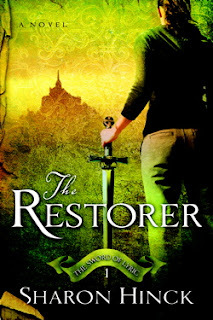 She's won the Romance Writers of America Reader's Choice Faith Hope and Love Award for short contemporary. Her novellas have been on the CBA bestseller list numerous times. And her books keep piling up, many of them set in her beloved California. As a college chick, she went to San Jose State University and majored in Advertising, then worked at the Fairmont Hotel in PR, a small ad agency as an account exec. THEN...she was thrust into the exciting world of shopping mall marketing. But she says,"It's way more boring than it sounds, trust me. " So, here we go on a ride through Kristin's childhood. How does a girl like that tick? You may find a few surprises--and find out, like I have, that Kristin's childhood formed her into an amazingly brilliant,sensitive person who has a great passion for justice and social issues--and for people--because she truly understands the deeper things of our life. To not end up in jail. Actually, I wasn't a very ambitious child, I'm not sure I had an ambition. I think it was more about finding my Prince Charming than actually accomplishing anything. Wow, that's pathetic, isn't it? I wanted to meet Adam Ant, is that an ambition? My mom says I always remember the bad things, so this is a toughy. One time at my best friend's birthday party, we toilet papered a neighbor's yard. We did it up in full, I was the tree person. When we were all done at about 1 a.m., my friend's neighbor laughed and through the open window said, "You're cleaning that up in the morning." Oh my gosh, that was hysterical. We thought we were all that. When I went on the Today Show and survived it. I hate to be in the public eye, so accomplishing that was like attacking my biggest fear and coming out the victor. Even though, any professional would have said that was no victory. I was thrilled! Saturday morning old movies with Pepsi and Pickled peppers. Cary Grant still makes me salivate in Pavlovian style for peppers. A pair of red cotton capris with darling buttons at the cuff and a pink shirt that buttoned up at the elbow. I didn't know that pink and red didn't go together at the time. Favorite Childhood Playthings: Barbies, specifically, the Barbie three story townhouse. Anything else you would like to include in your childhood memories to share with readers? Kristin says, "Recently, I dreamed of being a great hairstylist and Split Ends was born. It's available now from Nelson Publishers." 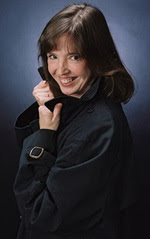 On her shared blog, Girls Write Out,(also Colleen Coble, Denise Hunter and Diann Hunt are here) you can definitely see what Kristin thinks about--if you can keep up with her intelligent and humorous commentary. (Kristin is not afraid to speak her mind!) While she has written many books, and was the first one in the CBA to publish Christian Chick Lit (she's the founder of that genre!) she also has written many romances, novellas--and, see below for a nonfiction book that goes out of the ordinary because of her passion to tell a story--and tell it well. And Kristin felt so strongly about the story of Carrie and David McDonnall, that she agreed to help Carrie write that story and venture into nonfiction. The amazing true story of bravery and grit, which happened in 2004, is described below: David McDonnall lived a thrill-seeker’s life as a missionary and water specialist in northern Sudan and Jordan. Carrie McDonnall found her love for the Arab people by working with Palestinian children in Israel. Together, they found love and a shared a mission that took them into the mysterious, embattled land of Iraq. On March 15, 2004, Carrie and David prepared for a day of surveying refugee camps with fellow missionaries Larry and Jean Elliott and Karen Watson. The day ended in tragedy, with three American missionaries killed instantly in an insurgent ambush and two struggling for life. David’s love for his wife, and his sheer force of will to see her to safety in the face of his own death, gives us a glimpse into their shared faith and love for God and ministry. May Day, May Day, May Day!